I have a confession to make: I am the biggest procrastinator in the world, and am usually less than motivated to do much of anything when I get home from work. Anyone else with me on that? I'm sure I can't be alone! I can sit at work all day and think about all of the things that I should do once I get home but the minute I sit down on the couch it is game over. This especially goes for doing things around my apartment. I live on the second of two floors in my apartment complex and I can easily talk myself out of vacuuming at 7:00 because it's too late and makes too much noise for my neighbor downstairs. Laundry is just as easy to talk myself out of considering that I have to go outside to take my laundry to the laundry room. If it's raining, forget about it. My neighbor downstairs also likes to sit in the doorway to get some fresh air since she's elderly and can't get herself down the stairs to actually sit outside, so that's a whole other obstacle. I always convince myself that she will come out and I don't want to have to maneuver around her to get my laundry in and out of my apartment. All that being said, I have seen so many people posting about fancy planners that they get and how it really has helped them to organize their life so I figured I would give it a shot! I was on the hunt for a very specific planner. I didn't want just a basic planner layout. I wanted space so that I could break out different aspects of my life and focus in on each aspect and list out the things that needed to be done. This proved to be quite a lot to ask since it took quite a bit of looking around to find just what I was looking for. I ended up in a store called Paper Source (which I completely fell in love with) and found just what I was looking for! Paper Source is a chain but it doesn't look like there are tons of these around the country. Good news, though! They have a website! The particular planner that I got is a planner made by them, but they carry other planners as well. If you like the one that I show you in this post, you can purchase it here. This planner is a spiral-bound planner that goes from August 2015 - December 2016. It has monthly overviews as well as a breakout of the days. For the monthly overview, I think I'm going to use that for only birthdays and holidays. I don't really like using the monthly overviews and that's usually where I feel like my attempts at keeping a planner would get hung up. I just never understood why they were there. It probably makes no sense to you but there's logic somewhere in my brain about it. But now, onto the good stuff! The daily breakout. There is so much space to do break-outs for the different aspects of my life! I bought myself a big pack of the PaperMate Inkjoy pens since they have all sorts of different colors that I can use to even better keep everything organized. I also bought a Sharpie Pen so that I could have a nice, bold black pen for anything I really want to stand out. So, in my head, there are four facets that I wanted to focus on: personal (where I could list out any plans that I have made and plan my workouts), work (where I can put any important work-related things), apartment (so I can schedule out my cleaning since I usually just let it all pile up), and blog (so I can plan out everything I want and need to do for the blog to keep myself on pace). Truthfully, the "work" category probably won't be used as much as the other categories since, being an Administrative Assistant, you kind of just fly by the seat of your pants. 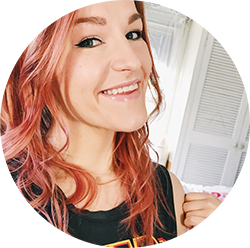 I do have certain things that I need to do on a regular basis that are usually day-long projects so I can keep that in mind while mapping out the other aspects of the day so that I can keep a nice balance. Initially, I thought I would do this on a weekly basis, but after filling in the one day, I think I'll probably do it every night before I go to bed. It's a good way for me to unwind and unplug and this way, if something doesn't get done I can push it to the next day. There's obviously certain things I'll be able to plan out in advance but for the most part I'll take it day-to-day. Also, I'd just like to say that my editor-in-chief, Lupin, was really making it hard to get my work done this morning. It seems that he thought I bought the planner as a new cat bed. Let me know how you've been keeping your life organized. Do you use a planner or are you just able to put your mind to something and do it? If you are able to do that, I'm super jealous of you! 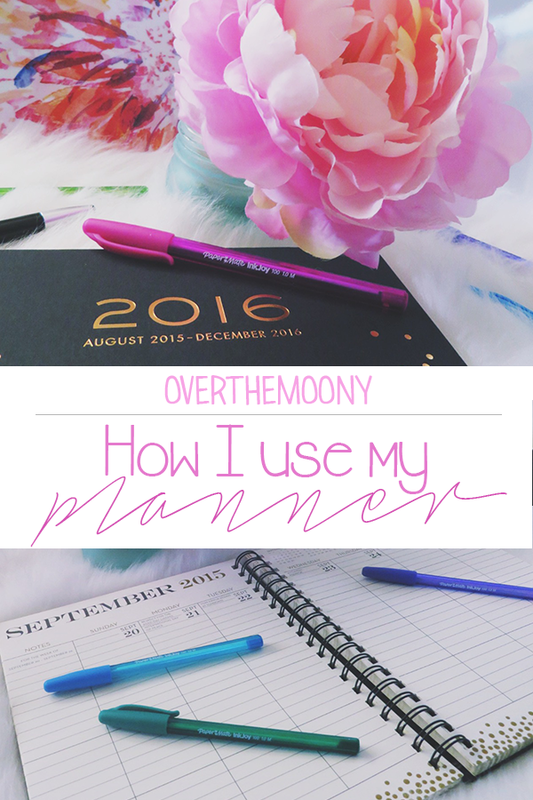 Let me know what kind of planner you use and if you have any tips for me! I know I see people using stickers and post-it's and all sorts of other fun things so let me know what works for you! Thanks for stopping by and I'll talk to you again next Sunday! As always, please feel free to keep in touch by following me on any of my social media accounts which you can find to your right.